Step out of the city life by going to Table Mountain and Cape of Good Hope. Change things up with these side-trips from Cape Town: Cape Town Central (Hout Bay & Cape Point Nature Reserve), Casa Labia Café (in Muizenberg) and Boulders Beach (in Simon's Town). There's much more to do: admire the natural beauty at Kirstenbosch National Botanical Garden, take in the awesome beauty at Lion's Head, step off the mainland to explore Robben Island, and go for a stroll along the water at Victoria & Alfred Waterfront. To see photos, traveler tips, other places to visit, and more tourist information, you can read our Cape Town vacation builder. London, UK to Cape Town is an approximately 20-hour flight. The time zone changes from Greenwich Mean Time (GMT) to South Africa Standard Time (SAST), which is usually a 2 hour difference. Expect warmer temperatures when traveling from London in January; daily highs in Cape Town reach 32°C and lows reach 20°C. Wrap up your sightseeing on the 25th (Thu) to allow time to drive to Hermanus. 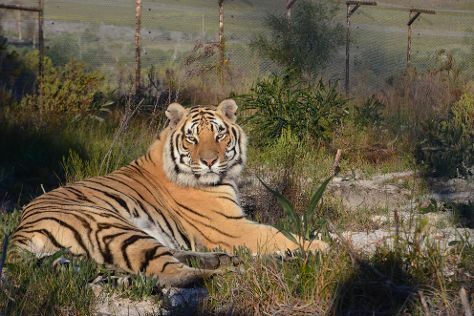 Start off your visit on the 25th (Thu): enjoy the sand and surf at Grotto Beach, look for all kinds of wild species at Panthera Africa - Big Cat Sanctuary, and then tour the pleasant surroundings at Voelklip Beach. Keep things going the next day: admire the natural beauty at Harold Porter National Botanical Gardens and then look for all kinds of wild species at Stony Point Penguin Colony. To find traveler tips, where to stay, ratings, and tourist information, you can read our Hermanus itinerary maker. You can drive from Cape Town to Hermanus in 1.5 hours. Alternatively, you can do a combination of bus and taxi. Expect a daytime high around 32°C in January, and nighttime lows around 20°C. Wrap up your sightseeing on the 26th (Fri) early enough to travel to Plettenberg Bay. Visiting Robberg Nature Reserve and Birds of Eden will get you outdoors. Explore the numerous day-trip ideas around Plettenberg Bay: Tsitsikamma National Park (Adrenaline & Extreme Tours, Storms River Suspension Bridge, & more) and Knysna (Bollard Bay & Knysna Heads). It doesn't end there: head outdoors with Knysna Elephant Park. To find other places to visit, more things to do, where to stay, and tourist information, read our Plettenberg Bay holiday planner. You can do a combination of taxi and flight from Hermanus to Plettenberg Bay in 3 hours. Other options are to drive; or do a combination of taxi and bus. In January, daytime highs in Plettenberg Bay are 29°C, while nighttime lows are 20°C. Finish your sightseeing early on the 29th (Mon) so you can drive to Oudtshoorn. Nestled in the arid valley of Little Karoo, the town of Oudtshoorn remains the hub of everything ostrich-related, housing the world's largest population of the flightless birds. Kick off your visit on the 30th (Tue): experience rural life at Safari Ostrich Show Farm, then look for all kinds of wild species at Cango Wildlife Ranch, and then explore the fascinating underground world of The Cango Caves. To see other places to visit, maps, photos, and more tourist information, read Oudtshoorn trip itinerary builder. Drive from Plettenberg Bay to Oudtshoorn in 2.5 hours. Alternatively, you can take a bus. Finish up your sightseeing early on the 31st (Wed) so you can travel to Nelspruit. Nestled on the banks of the Crocodile River, Nelspruit provides visitors with a convenient base point boasting two airports and an enviable location on the road between Johannesburg and the Mozambican border. Start off your visit on the 31st (Wed): head off-road at local off-road trails. For more things to do, reviews, photos, and tourist information, refer to the Nelspruit travel itinerary creator. Getting from Oudtshoorn to Nelspruit by combination of bus and flight takes about 6 hours. Other options: drive; or take a bus. January in Nelspruit sees daily highs of 32°C and lows of 21°C at night. Finish up your sightseeing early on the 2nd (Fri) so you can go by car to Hoedspruit. 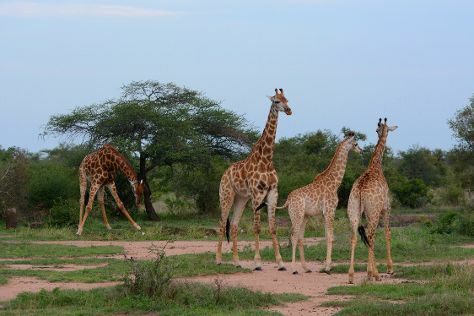 Hoedspruit offers proximity to Kruger National Park and features an airport, making it a popular jump-off point for a variety of tours and safaris. Get outdoors at Game drives at Phalaborwa Gate in Kruger National Park and Thornybush Game Reserve. 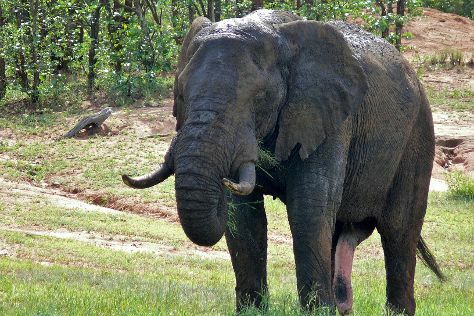 Change things up with these side-trips from Hoedspruit: Kruger National Park (Lonely Bull Trail & Napi Wilderness Trail) and Idube Game Reserve (in Sabi Sand Game Reserve). There's more to do: stop by Kumbaya Home Decor. For more things to do, other places to visit, ratings, and tourist information, you can read our Hoedspruit trip planner. Traveling by car from Nelspruit to Hoedspruit takes 2.5 hours. Traveling from Nelspruit in February, Hoedspruit is slightly colder at night with lows of 20°C. Cap off your sightseeing on the 5th (Mon) early enough to travel to Johannesburg. Founded when gold was discovered in the area in the late 19th century, Johannesburg quickly grew into a bustling metropolis, South Africa's largest city and the region's economic hub. You'll find plenty of places to visit near Johannesburg: Krugersdorp (Boer War Blockhouse & Wild Cave Adventures). Pack the 7th (Wed) with family-friendly diversions at Gold Reef City. Next up on the itinerary: see the interesting displays at Apartheid Museum, steep yourself in history at Mandela House, wander the streets of Maboneng Precinct, and get a sense of history and politics at Constitution Hill. To find traveler tips, ratings, and more tourist information, use the Johannesburg custom trip planner. Traveling by combination of flight and train from Hoedspruit to Johannesburg takes 3 hours. Alternatively, you can drive. In February, daytime highs in Johannesburg are 32°C, while nighttime lows are 19°C. On the 8th (Thu), you're off tohome.